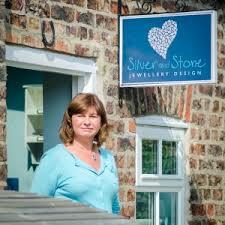 The workshop will take place in the rural studio of Silver Stone Jewellery in Riccall, South of York. The workshop will run from 10-4pm on selected dates throughout the year. Please ensure that long hair is tied back and covered shoes are worn as you will be using a small blow torch. This course is suitable for adult beginners. A fantastic silver jewellery workshop where you will make your own unique fidget ring. 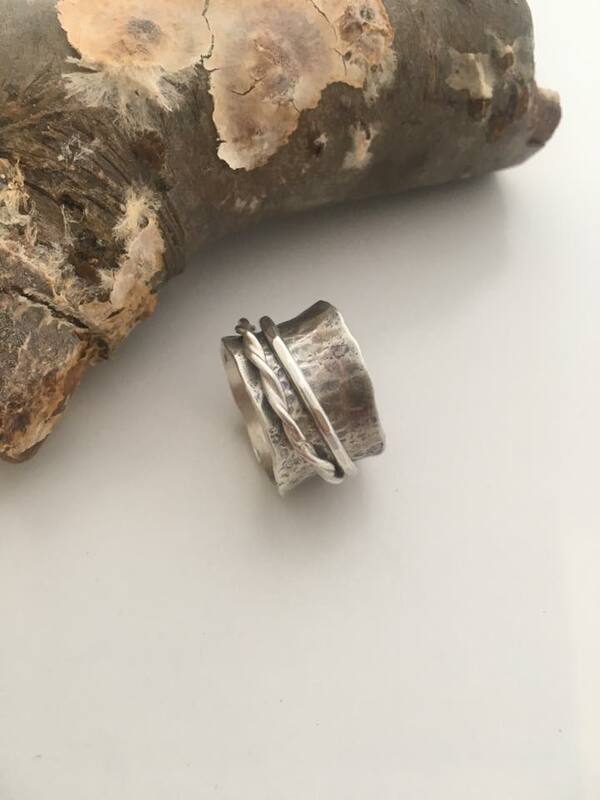 In this Silver Fidget Ring Jewellery Workshop you will create two to three rings – the larger one which can be left plain or textured, and another smaller ring to go over it and which will swivel around the larger one when completed. 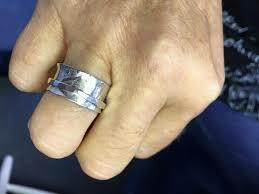 You will be using sterling silver sheet and wire to make the rings. Don’t worry if you don’t feel creative enough there will be a number of design options available to you so that each ring made will be unique to you. 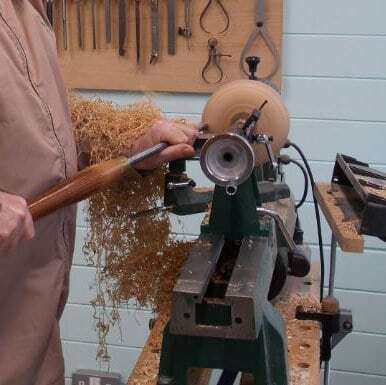 The workshop will run from 10-4pm, all tools and materials will be provided. There may be an additional cost for extra rings payable on the day. 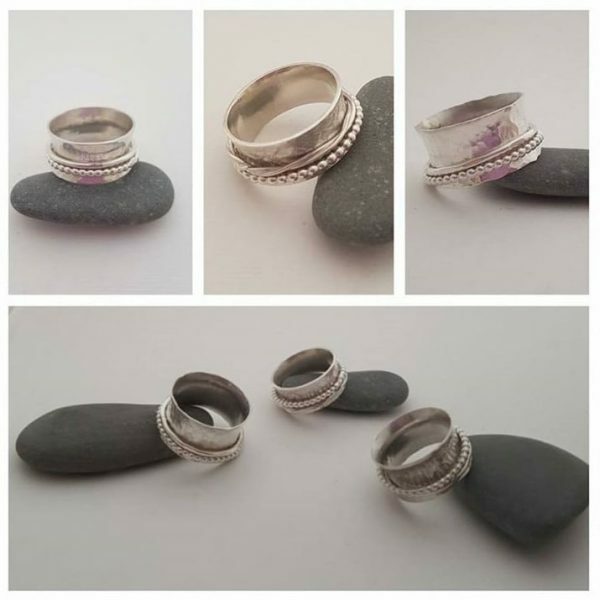 The Silver Fidget Ring Jewellery workshop is run by Helen Drye, the designer and maker behind Silver and Stone Jewellery Design. Her work is inspired by Skipwith Common Nature Reserve near her Studio, near York. She creates a range of little pictures of the Common in silver, glimpses through the trees: mini works of art. Her work features the trees and the birds from the Common with the moon shining through the trees. She is also passionate about teaching jewellery making, helping develop peoples’ creative skills and give some much needed time out from busy lives. She works in sterling silver and silver clay (a mouldable silver), and teaches a variety of silver jewellery making courses. People regularly make a weekend visit for her courses, combined with the wonderful city of York. She runs the North Yorkshire Accredited Training Centre for Precious Metal Clay as a certified senior tutor. Check out Helen’s other jewellery making courses: Silver Bangles Jewellery Workshop and Silver Bobbins, Buttons and Thimbles Workshop.